Introducing a telehealth program into a healthcare organization is no easy task. Here, John Chuo from the Children's Hospital of Philadelphia breaks down how healthcare CIOs can help get the job done. Nvidia AI in healthcare technology will be used in programs by more than 38,000 radiologists to improve diagnoses, and to aid in speeding up drug discovery. A new bundle of StorageCraft backup hardware, software and disaster recovery as a service targets healthcare organizations, which are particularly susceptible to ransomware. News recently broke that MD Anderson put its project with IBM Watson on hold. 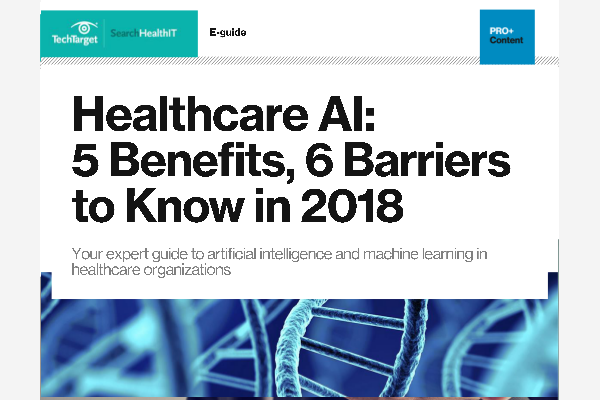 Some interpreted this to be a setback for AI and cognitive computing in healthcare. Others disagree.